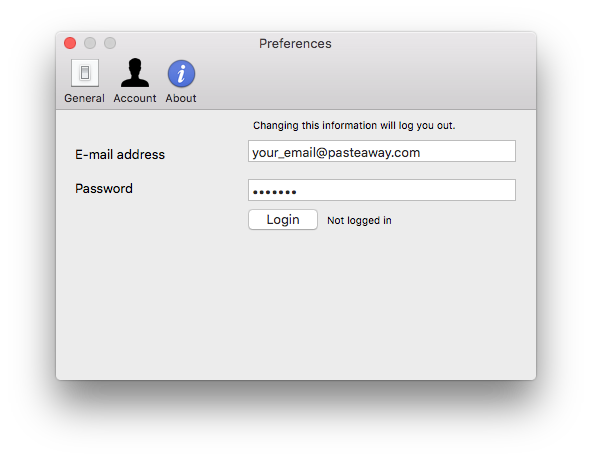 Here is an example of the PasteAway Mac client. 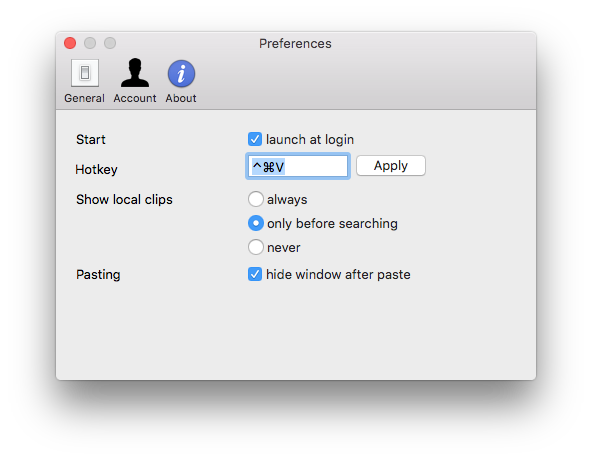 The search box allows you to search your clips, the table with all the clips is automatically filtered based on the search-term. 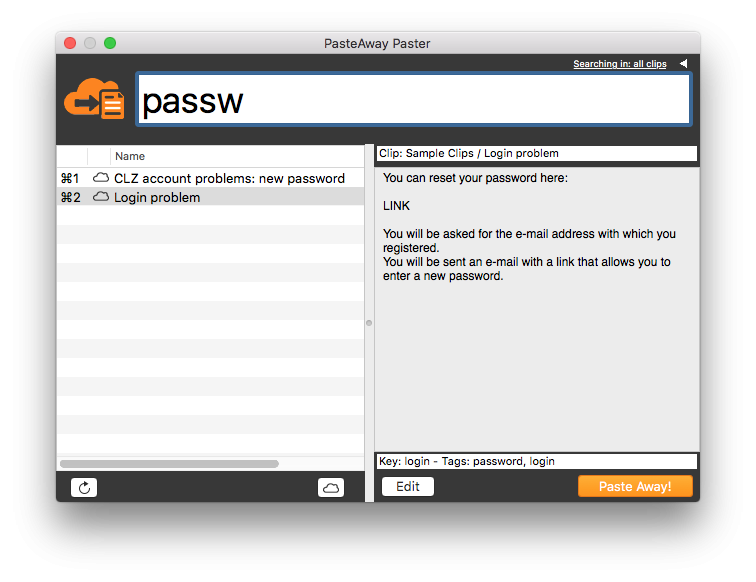 ENTER – pastes the currently selected clip in the table. 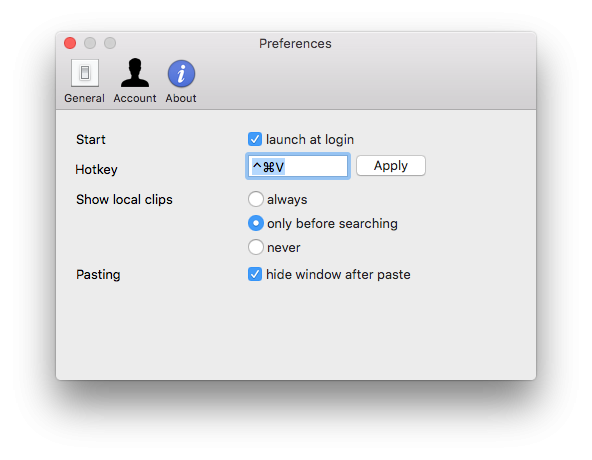 This table shows a list of the clip-names all your clips, this list is filtered based on the current search term. 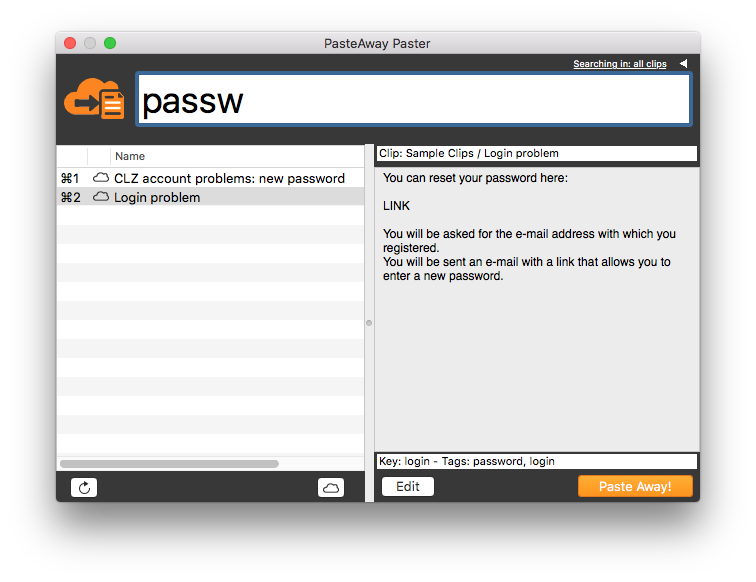 On the top right you change the scope of the search and visible clips, by pressing the little triangle you can, via a select box, limit this scope to a team or a project. 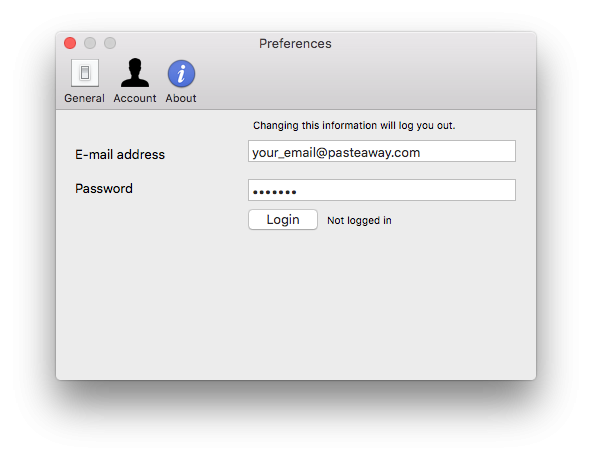 On the account tab of the preferences you can enter and update the e-mail address and password that you used for signing up for PasteAway.com.